Web GIS supports real-time visualization and analysis. It also provides a flexible and agile framework for implementing GIS as a platform. 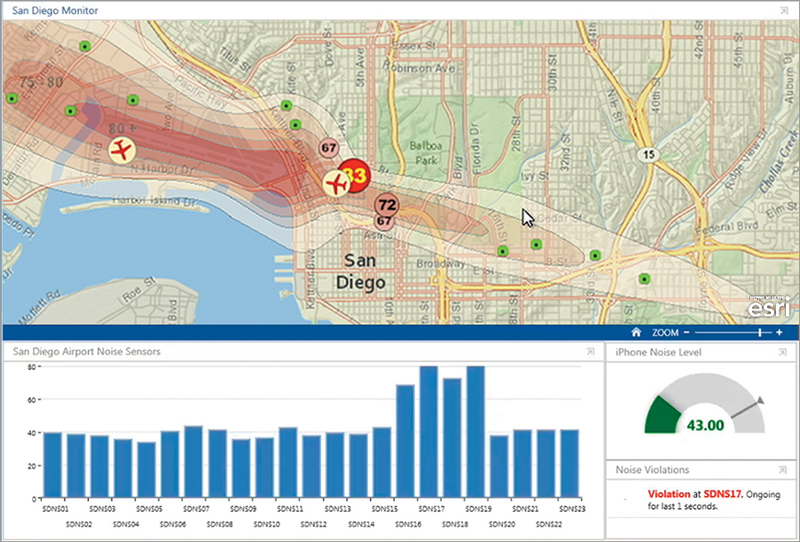 Web GIS is a new pattern for delivering GIS capabilities and is at the center of Esri’s strategic direction for implementing GIS as a platform. Maps on the web provide a new paradigm for how people everywhere access and use geographic information. They use GIS maps on their desktops, the web, tablets, and smartphones for a sophisticated range of activities to apply advanced geographic information. 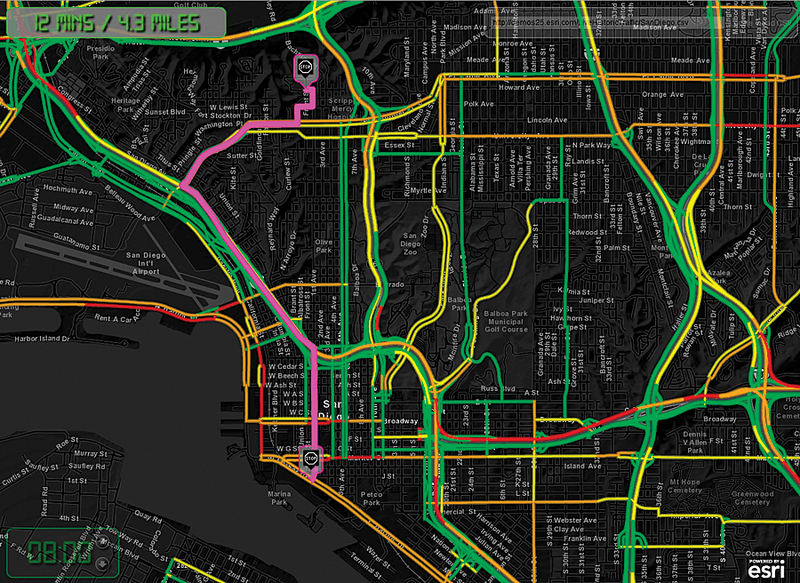 Web GIS is a transformation of GIS that brings analytics to spatial data in a way that wasn’t possible before. Previously, spatial data had to be processed, modified, and extracted to answer a predetermined set of questions. Now, the data is transformed into web maps or services that are mashed up with different layers into a web GIS, which provides the flexibility to answer any possible question. The data is ready and waiting to dynamically answer questions. It no longer needs to be processed for each individual question. Web GIS is a much more flexible and agile workflow. Web GIS brings GIS into the hands of the people. It reduces the need to create custom applications, provides a platform for integrating GIS with other business systems, and enables cross-organizational collaboration. Web GIS allows organizations to properly manage all their geographic knowledge. At the heart of web GIS is a mapcentric content management system. How does one go about implementing web GIS? One of the strengths of the ArcGIS platform is its flexibility to support the web GIS implementation method that best fits an organization. It can run completely in the cloud, completely within an organization’s own infrastructure, or in a hybrid pattern. Web GIS makes any data, such as the current weather conditions, ready and waiting to dynamically answer any possible question. The cloud-only deployment pattern is ArcGIS without the box; everything runs in the cloud using ArcGIS Online. ArcGIS Online provides a mapcentric content management system that stores the data, delivers GIS services and content as software as a service, and manages user access and security. 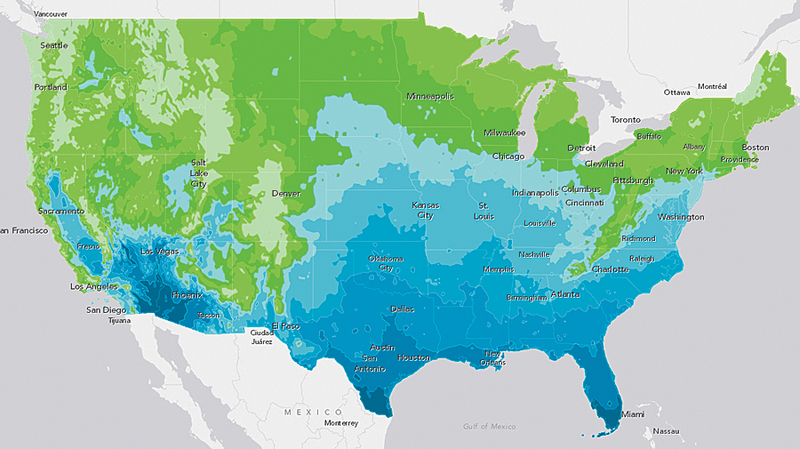 ArcGIS Online also provides ready-to-use content from datasets to basemaps and on-demand services that supplement an organization’s own geospatial data. It is an excellent entry point to ArcGIS because it provides simple mapping tools that can be accessed from web browsers, tablets, and mobile devices and because setup and maintenance of the GIS infrastructure are securely handled by Esri. However, some organizations cannot utilize a cloud-based implementation. They may not have an Internet connection or their connection is unreliable. In many cases, government or industry regulations prevent them from using cloud services or storage. An on-premises-only deployment is ideal for these situations. Everything runs on the organization’s own internal IT infrastructure using ArcGIS for Server with the Portal for ArcGIS extension. ArcGIS for Server transforms data, whether it’s a file, a database, or a real-time data stream, into services that people can access over the web. It enables GIS capabilities in the organization’s infrastructure so they can be accessed anywhere and at any time. The Portal for ArcGIS extension provides the mapcentric content management system and collaboration tools that connect GIS data and services with people through apps. This implementation can be supplemented with Data Appliance for ArcGIS, which provides local instances of ready-to-use services from ArcGIS Online. Integrating real-time information, such as traffic data, into ArcGIS maps and apps is critical for workers in the field. Combining the cloud and on-premises deployment methods into a hybrid deployment can provide the best of both worlds. ArcGIS for Server provides the behind-the-firewall data storage, sharing, and processing, while ArcGIS Online provides cloud-based sharing, dissemination, and collaboration. This implementation also allows organizations to integrate the ready-to-use content from ArcGIS Online with the data and services hosted on their internal infrastructure. This method allows organizations to take full advantage of the advanced capabilities of ArcGIS for Server while taking full advantage of the cloud GIS platform provided by ArcGIS Online. The hybrid deployment method also provides the most flexibility to adapt a GIS infrastructure to meet an organization’s changing needs. The ArcGIS platform flexibility allows organizations to choose the best implementation method for them, whether that’s cloud, on premises, or a hybrid. The determination of which implementation method an organization should use should be based completely on which one works best with its needs and existing IT infrastructure. For more information about ArcGIS Online, visit esri.com/agol. For more information about ArcGIS for Server, visit esri.com/server.